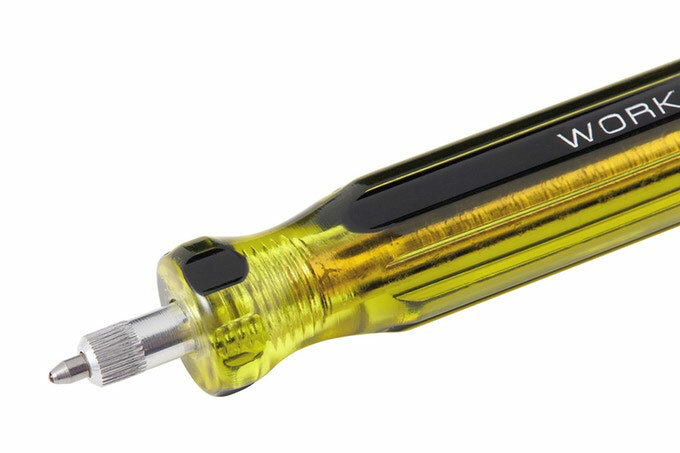 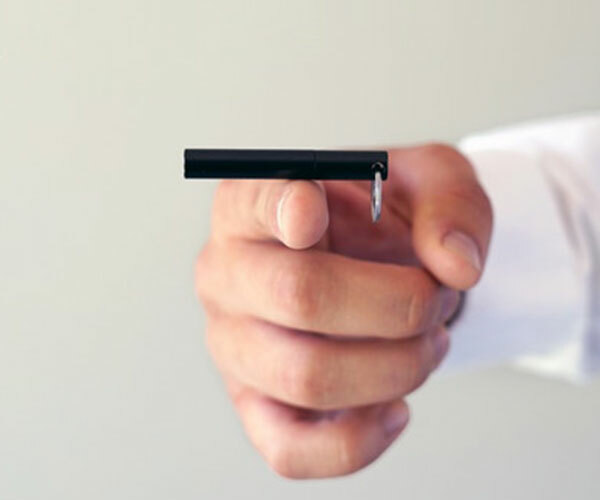 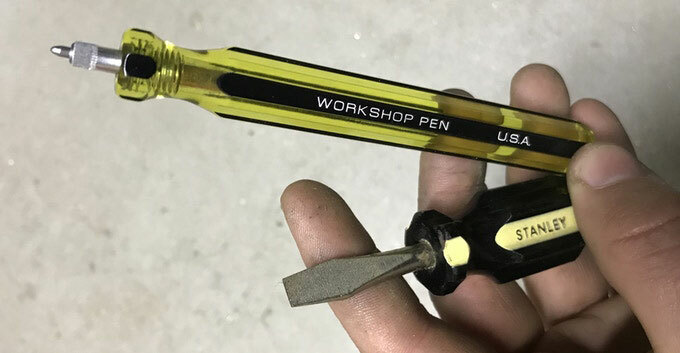 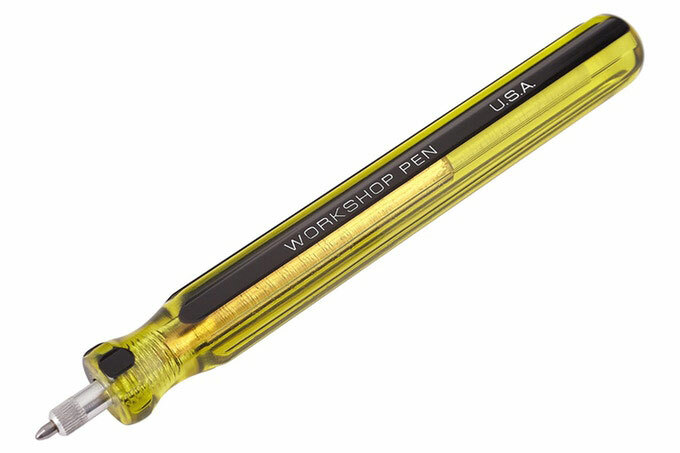 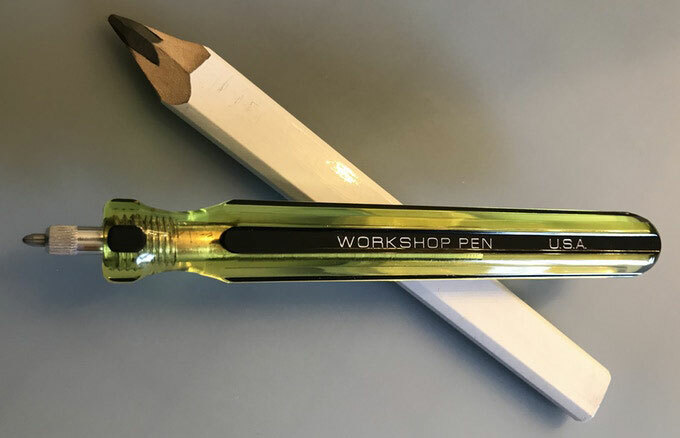 The Workshop Pen is a refillable pen with a long body that looks and feels like a screwdriver handle, and is about the size of a carpenter’s pencil. 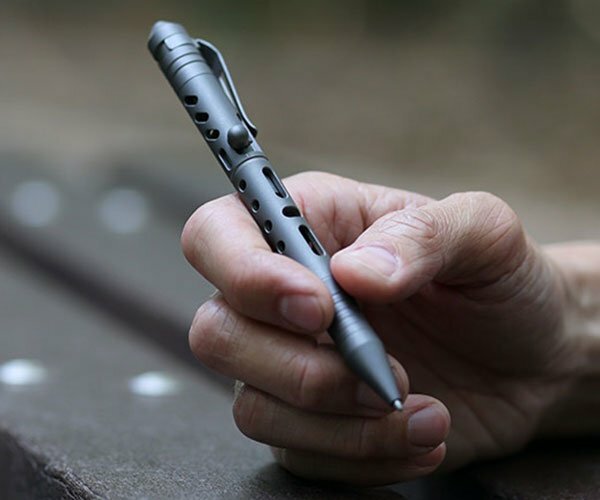 Its body is made of cellulose acetate for a smooth yet grippy feel. 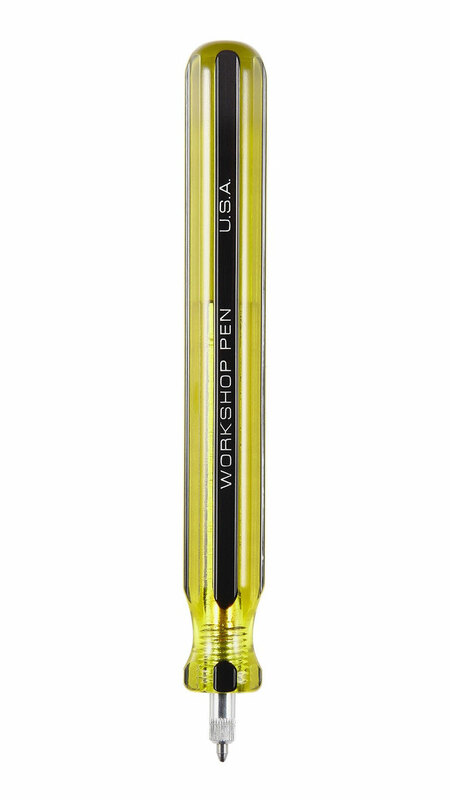 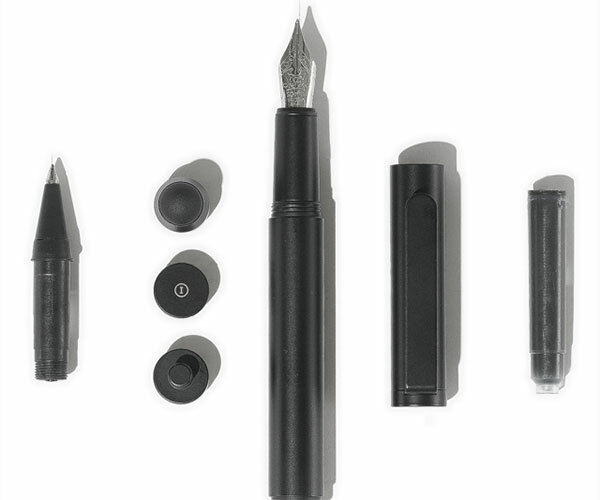 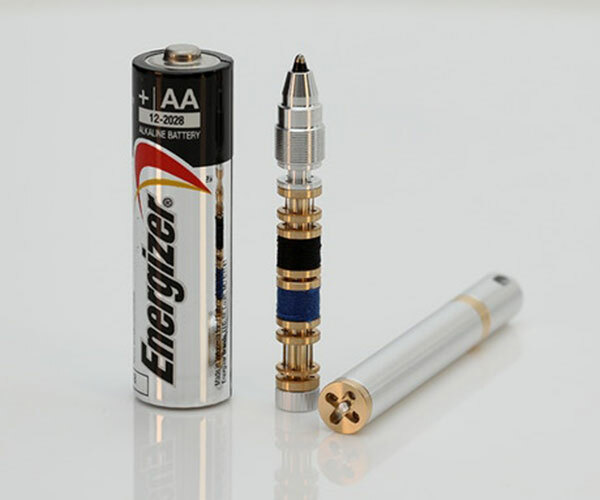 It uses Fisher Space Pen refills.